Following their success in the recent TAG Rugby tournament, Earl Soham travelled to Eye for the Small Schools' Touch Rugby Tournament. There were a total of seven teams present for this fast-moving and highly competitive event. The spirit shown by all players from all teams was absolutely first class with some fantastic play on show. Out of their 6 matches, Earl Soham won 4 and lost 2 resulting in a 3rd place finish. Congratulations must go to all players from all schools for their approach towards the event. Earl Soham - well done, you never gave up and worked your socks (new) off! You also certainly gave your loyal band of supporters plenty to shout and scream about!!! 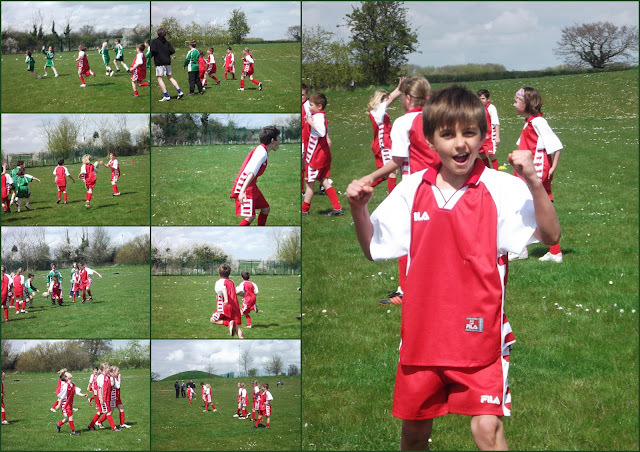 Once again what a fabulous team performance the children really go out with such an excellent sporting attitude. It really is so enjoyable going and watching - exhausting as well mind you! Well done Earl Soham - keeping everything crossed for Thursday's tag rugby.